Which size mobility scooter is right for you? Fits in your car, great for indoors and shopping centres. Ideal for short trips to the shops and general run around. Our most popular model, perfect for uneven footpaths. The ultimate scooter with all the upgraded features. We’re always happy to answer your questions! 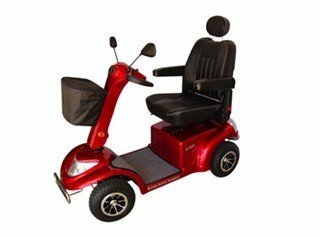 The Best Mobility Aids You Can Buy to Improve Your Freedom! The cane has been the original mobility aid since ancient times. From a simple carved branch to an ornate and polished statement of sophistication, canes are just as much a mobility aid as they are a fashion accessory. And while the cane is great for helping you with stability, it’s limited when it comes to uneven surfaces. Even with the added stability, it’s still possible to slip with a cane, leaving you prone to accidents, in particular, falls. The upgraded version of the cane – the wheelie walker, offers much more in the way of stability and balance, but again is limited on rough terrain or if you require to travel more than a short distance. Many occupational therapists believe the wheelie walker causes poor posture due to the bent over position when walking. For those with more impaired mobility, the wheelchair has always been the medical standard. And although in recent years, great strides have been made to enable users to go anywhere, we still have a long way to go in providing consistent ease of use. Moving around with a clunky, large and unwieldly chair can be cumbersome, frustrating and in some cases embarrassing. Depending on where you have to go, you may find it hard to maneuver in tight spaces, and relying on others to push you doesn’t give you any feeling of freedom. 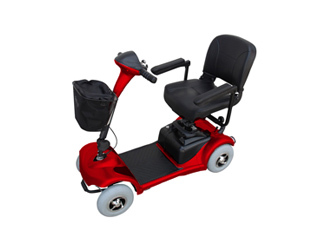 As far as mobility aids go, it doesn’t get much easier or more convenient than the mobility scooter. Compact, yet easy to manoeuvre (even in tight spaces), a mobility scooter offers you all the benefits of comfort and style in one convenient package. 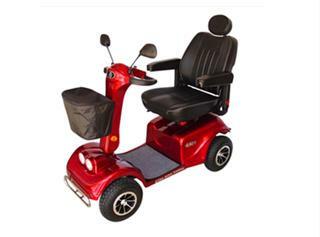 Sitting in a comfortable scooter chair removes the chances of falls, the electric motor makes it easy to get anywhere, and the four large tyres provide safety on uneven ground. 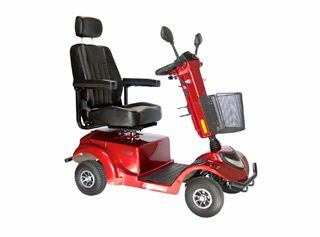 Here at Active Scooters, we pride ourselves on bringing mobility to people who felt they were resigned to use a cane, wheelie walker or wheelchair. Let us show you how much more freedom you could be enjoying with a free test drive of any of our world-class mobility aids today!